Bengaluru: India’s Tata Motors Ltd reported its first quarterly loss in nearly three years on Tuesday, as UK business Jaguar Land Rover (JLR) sold fewer of its luxury cars to dealerships in China, while raw material costs rose. The automaker said first-quarter net loss was ₹ 1,902 crore, compared with a profit of ₹ 3,182 crore a year earlier that included a ₹ 3,609 crore gain from changes to the way JLR’s pension payments are calculated. That resulted in a 6.7% drop in quarterly revenue for JLR, the company added. Total expenses during April-June rose about 17% to ₹ 69,890 crore. 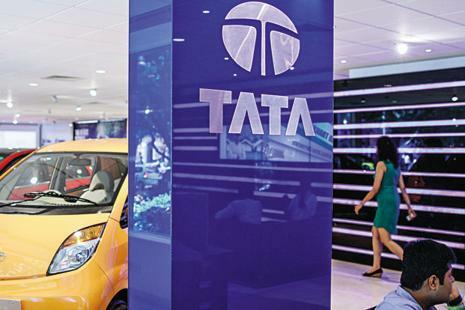 On Tuesday, shares of Tata Motors Ltd fell 1.18%, or ₹ 3.15, to ₹ 264.15 on the BSE while the benchmark Sensex once again rose to a record high of 37,606.58 points, up 0.30%—or 112.18 points—from previous close.